A tropical paradise of dazzling blue waters, postcard palm trees and pristine white sand, the Cook Islands are the pinnacle of romance and relaxation. Boasting tranquil tropical surrounds, exclusive luxury resorts and an intimate atmosphere, the Cook Islands are perfect for honeymooners or couples looking for the ultimate romantic getaway. Spend your days lazing by the lagoon, sipping cocktails with your love, and pampering yourself in complete luxury as you experience the magical Cook Islands. Read on to fall in love and discover ultimate romance and relaxation in our couples guide to the Cook Islands. The unspoiled natural beauty of the magical Cook Islands will have you falling in love the second you arrive. Slip into 'island time' as you stroll hand in hand along soft white sand and feel the gentle waves lap against your toes. Boasting a reputation for romance and relaxation, the Cook Islands offers a range of dreamy beachfront resorts that are perfect for couples seeking an intimate escape. Experience total serenity at the 5 star Rumours Luxury Villas & Spa. Located on Rarotonga, this lavish destination offers beachfront villas just metres from the crystal blue waters of the South Pacific. Enjoy total privacy and relaxation at this adults only resort and prepare to unwind as you indulge in a traditional Polynesian couples massage at the Waterfall Day Spa. 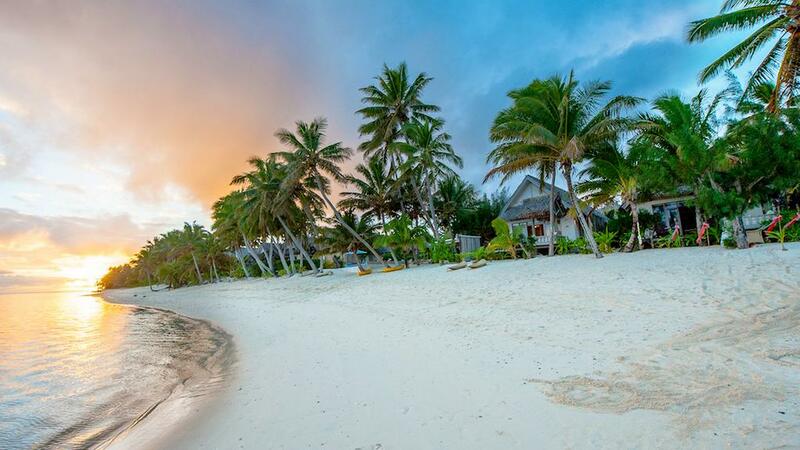 Located on the stunning island of Aitutaki, the Aitutaki Lagoon Private Island Resort is accommodation at its most luxurious. Offering dreamy overwater bungalows and beach-front suites, enjoy the breathtaking panoramic views of the South Pacific in this truly romantic destination. The perfect place to celebrate love and all things romance, the Cook Islands offers the most enchanting South Pacific escape that will be sure to steal your heart. The two main islands of Rarotonga and Aitutaki offer an abundance of dreamy romantic settings with impossibly blue lagoons fringed by verdant tropical rainforests. 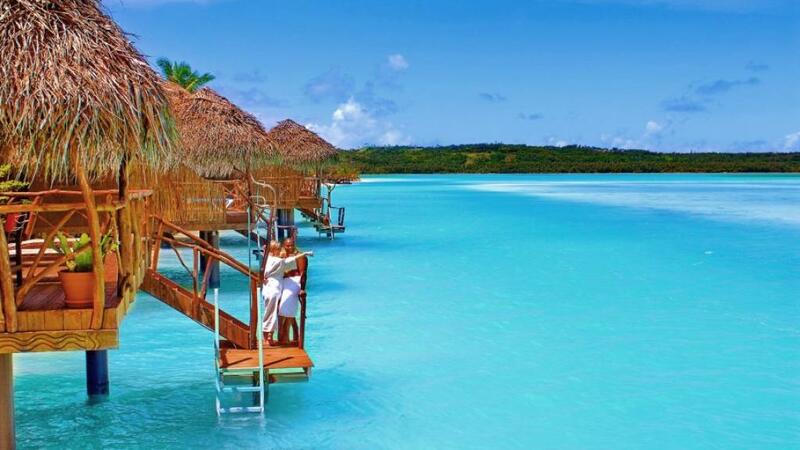 Be sure to visit the picturesque Aitutaki Lagoon and the romantic Muri Beach and enjoy uninterrupted tropical paradise. Relax and unwind on the soft white sands or enjoy swimming and snorkelling amongst the myriad of technicolour reefs. To experience all the Cook Islands has to offer, drag yourself away from your romantic villa to hire a car or scooter and hit the road! Explore Rarotonga's pristine natural beauty as you drive along the 32km ring road. Venture to hidden beaches, secluded sandy coves and discover the tropical rugged coastline. Hit up the Punanga Nui cultural market for lunch and try some delicious Cook Islands cuisine or pick up some local handicrafts as a romantic holiday memento. Indulge in some delicious Polynesian delights as you discover the fantastic Cook Islands cuisine. The Nautilus Restaurant offers a mouth-watering menu of delicious seafood and local delicacies with a view that overlooks the picturesque Muri lagoon. The perfect dinner location for couples and romantics, the Nautilus Restaurant is sure to impress. Located on Aitutaki, the Tamanu Beachfront Restaurant offers a romantic and relaxing dining experience. With traditional 'Are' style architecture and tranquil ambience, the Tamanu Beachfront Restaurant allows guests to enjoy sumptuous local cuisine and hospitality in a gorgeous setting. 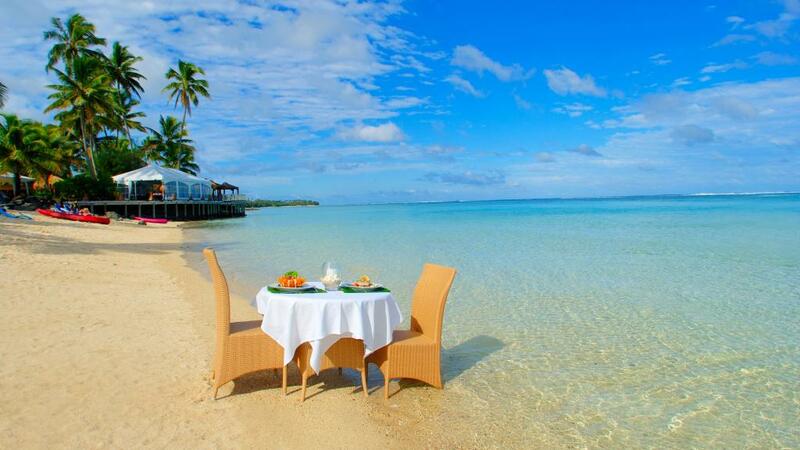 Have you visited the romantic Cook Islands? Tell us about your magical escape in the comments below!